This is a great choice of sandals if you are looking for comfortable shoes made from top quality leather and rubber soles. Based on the type of sandals worn 2000 years ago these sandals are historical and classic. 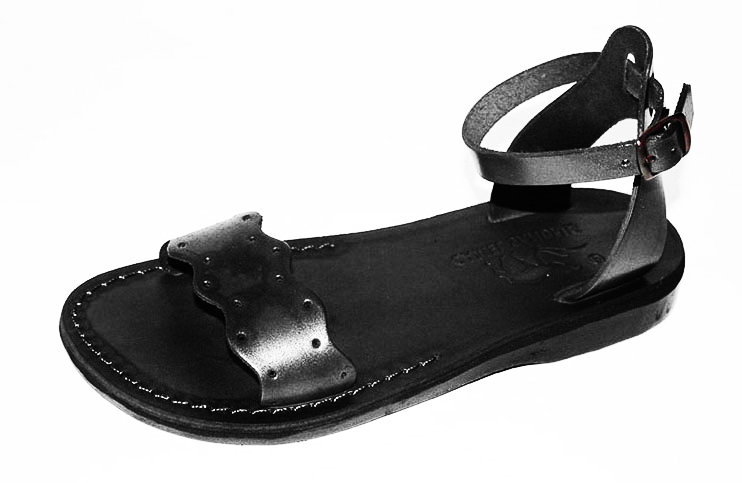 This gorgeous pair of biblical sandals is top quality and has been designed with comfort and quality in mind. It is the ideal sandal for the hot summer weather with its adjustable ankle strap and your feet slip easily into the sandal with no fuss. The single broad strip has a dainty design, making this sandal a great match for any occasion. The leather has been hand stitched and glued with care, ensuring the high quality of the sandals. These sandals are inspired by the sandals which were found in excavations around Israel dating back two thousand years ago where similar sandals have been found with the same basic design and materials.